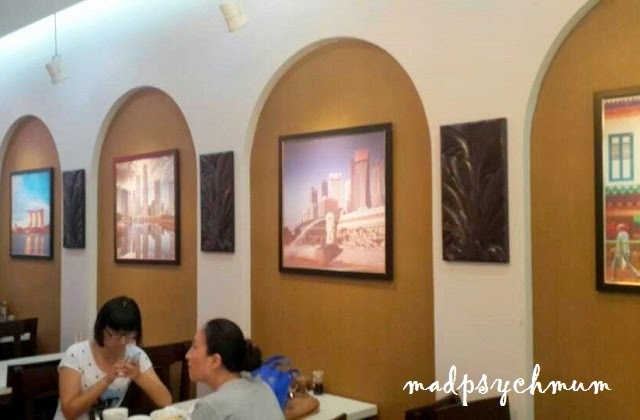 Words cannot express how proud we are of the official opening of my dad's Singapore-themed restaurant in Shanghai, China. 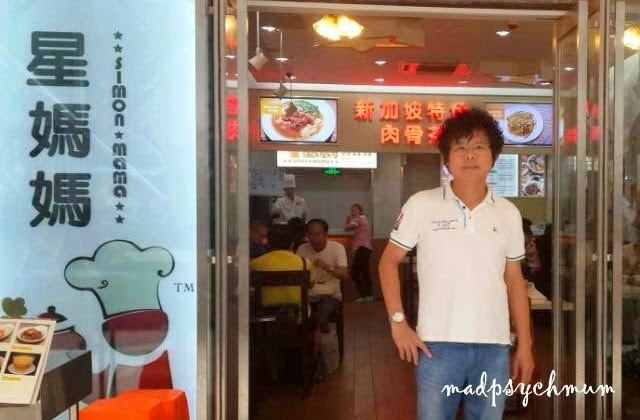 After working long and hard in China for the last 20 years, my dad has finally been able to fulfill his dream of being a business owner. 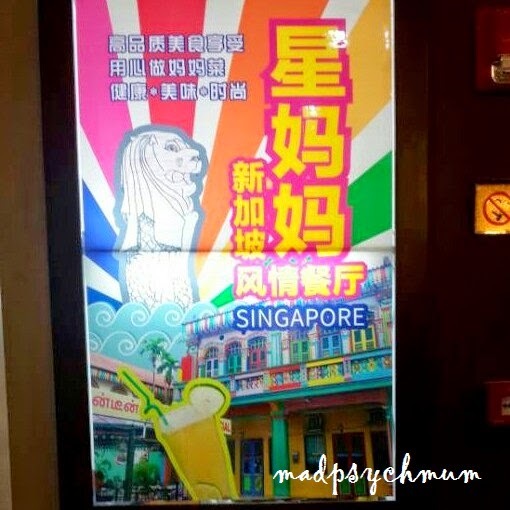 The poster says, "Xing Mama, a Singapore Style Restaurant"
Named 星妈妈 Xing Mama (also known as Simon Mama), the restaurant was inspired by the Singaporean dishes that my dad has grown up eating. In those days when my dad was growing up, most mothers stayed at home, looked after the kids and cooked for the family. All children love their mother's cooking, even if it wasn't restaurant quality, because it was made with love. Hence the name Xing Mama was partly inspired by my grandmother's cooking. To go one step further, daddy decided it was apt to bring Singapore to Shanghai (I think he really misses Singapore and would like to bring a little bit of home to a foreign land). 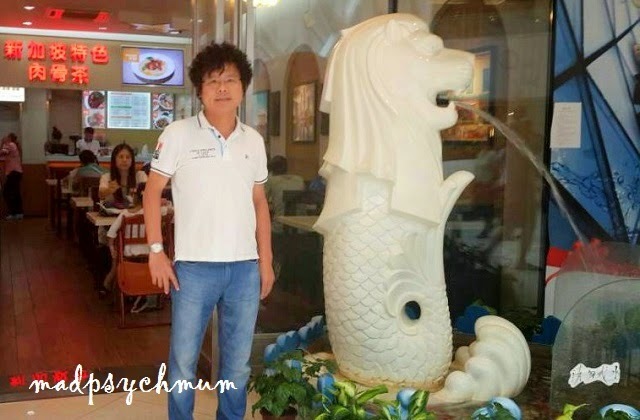 The restaurant has a minature Merlion at the entrance so you won't miss it! The signature dish is our beloved bak kut teh (pork rib soup), which is authentically Singaporean as the ingredients are sourced and exported to China directly from Singapore. 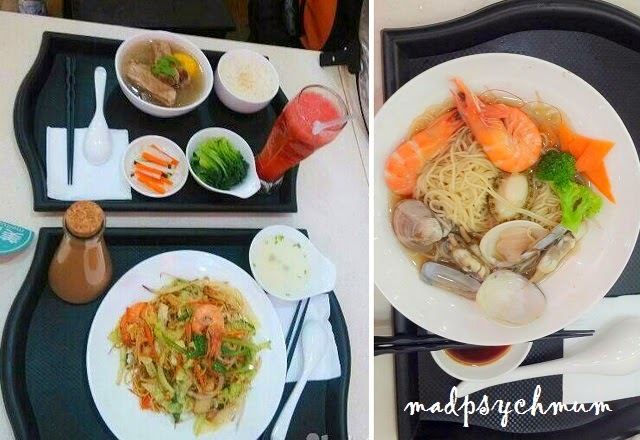 Many of the mainland Chinese have visited Singapore and love our food and culture. 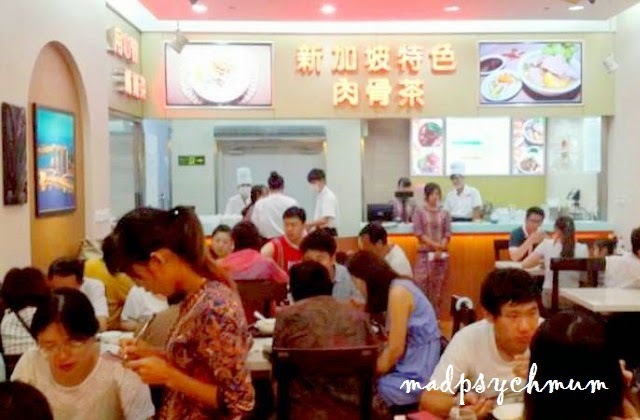 Hence, since its opening, Xing Mama has been bussling with people eager to rekindle their memory of or try out Singapore food. We're so proud of daddy and what he has achieved by the grace of God. God has indeed blessed us above and beyond what we can ask or imagine.